Three of which are in the habitable "Goldilocks" zone. During a news conference in Washington DC Wednesday, NASA revealed that, using the Spitzer Space Telescope, they've found seven new Earth-sized planets orbiting a star just 40 light years away from us. What's more, three of those exist within the "Goldilocks zone" which could be habitable for life. This is the first time that astronomers have discovered another solar system with seven planets roughly the same size as ours. Even more importantly, NASA figures that with the right atmospheric conditions, all seven could contain liquid surface water -- though the chances of that are highest of that on the three Goldilocks. 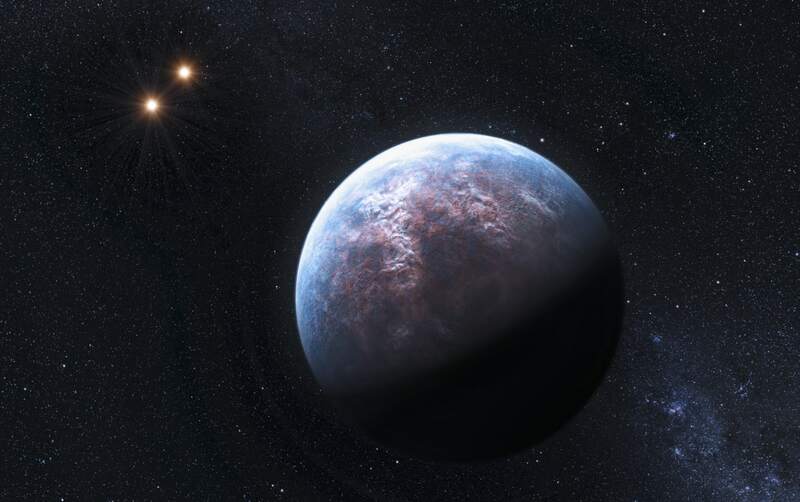 And, should further observations uncover oxygen, methane, ozone and carbon dioxide in their atmospheres, it "would tell us there is life with 99 percent confidence," Michael Gillon, lead author of the paper and the principal investigator of the TRAPPIST exoplanet survey said during the event. 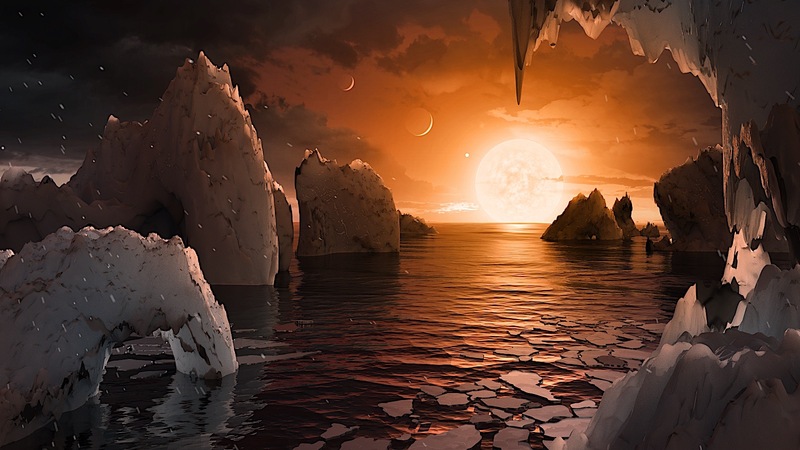 "This discovery could be a significant piece in the puzzle of finding habitable environments, places that are conducive to life," Thomas Zurbuchen, associate administrator of the agency's Science Mission Directorate, said during the press conference. These planets circle their host star -- an ultra-cool dwarf that's both smaller and dimmer than the Sun -- in orbits which are closer to their sun than Mercury is to ours. The innermost planets complete their orbits in just 1.5 and 2.4 days, respectively, with the 6th planet making the trip every 12 days. The outermost planet hasn't been definitively observed yet but is thought to have an orbit of around 20 days. Their orbits are so close to one another -- just a few times the distance between the Earth and the Moon -- that if one were to look up from the surface of one could likely see the geological features of its neighbors. Thankfully the Trappist star is rather weak so despite the planets' proximity, there's still a very good chance that liquid water could exist on on their surfaces. "The TRAPPIST-1 system provides one of the best opportunities in the next decade to study the atmospheres around Earth-size planets," Nikole Lewis, co-leader of the Hubble study and astronomer at the Space Telescope Science Institute, said in a statement. 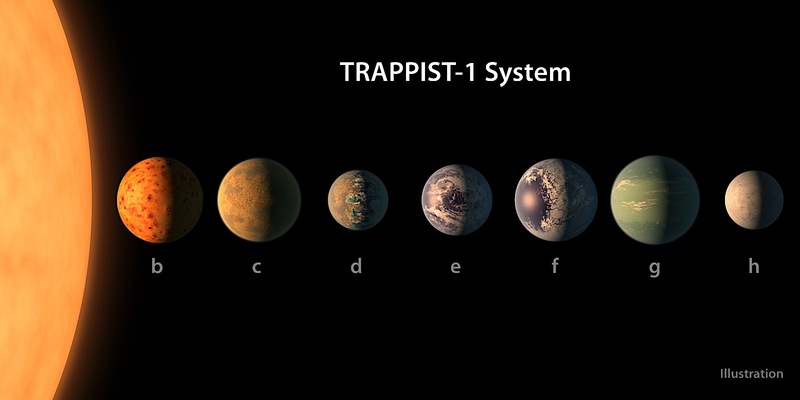 The Trappist system is named after the Transiting Planets and Planetesimals Small Telescope (TRAPPIST) in Chile, which originally discovered three of the planets and announced their findings in May of last year. With the help of other ground-based telescopes such as the European Southern Observatory's Very Large Telescope, NASA's Spitzer confirmed the existence of two of them and discovered another five. This news comes at an exciting time in the search for planets beyond our own solar system. Since the start of just this year, researchers have discovered the presence of water on a planet just 50 light years away, the Keck Observatory's exoplanet imager has come online and a team of researchers from a compendium of universities have released a trove of observational data from the Keck's HiRES imager spanning more than two decades. This could just be the start. Last week, NASA launched a crowdsourcing effort enabling citizen scientists to help search for exoplanets as well. You can follow along with the press conference live on NASA TV right now. If you still have questions about today's announcement, the NASA team will be holding an AMA on Reddit at 3pm ET today.